Bridge Consulting (“Bridge”) was established to provide specialist business and management advice and support to the financial services industry. Bridge has a global client base which includes investment managers, insurance companies and banks. Our services range from governance solutions and operational support to strategic advisory work. The philosophy behind Bridge is to apply real world knowledge and experience to assist clients in developing and implementing practical solutions to the business issues that face them. Our experience lies in making the complex simple – in presenting companies with a range of options, with the factors behind each choice clearly outlined in terms that are relevant to the decision being made. The professionals who work for Bridge have gained this experience in a variety of roles, as practitioners, in industry and in working for regulators. Bridge has assisted organisations seeking to establish operations in Ireland both in the financial services and non-financial services sector. We have assisted a multinational to establish a substantive presence in Ireland by providing administrative support including accounting, treasury and company functions. This initial support developed over time to a business development function, whereby Bridge assisted the company launch some of its parent company’s range of products in the Irish marketplace. Bridge has helped organisations select and implement new IT systems in order to meet changes in corporate structures and new regulatory requirements. One example involved the secondment of a consultant to work as part of a larger project team for a London-based investment manager. This project involved the replacement of the organisation’s back office accounting and reporting system. Adding to the complexity of this project, at the same time the organisation was replacing its front office systems, custody and fund administration systems as well as undergoing a change in structure as a result of a takeover. Bridge assisted with the corporate restructuring and new company launch, the introduction of new services and products, the setting up and re-engineering of business processes and the training of key staff. The project was successfully implemented and Bridge completed a handover of its work to the organisation following a period of post implementation support. Bridge offers clients a truly independent non-conflicted service designed to put the interests of our clients first. An independent service is critical in light of the increasingly complex regulatory environment in which our clients operate. Find out about the people that work at Bridge Consulting. David Dillon is a solicitor having qualified in 1978. He is a graduate of University College Dublin Bachelor of law and has an MBA from Trinity College Dublin. 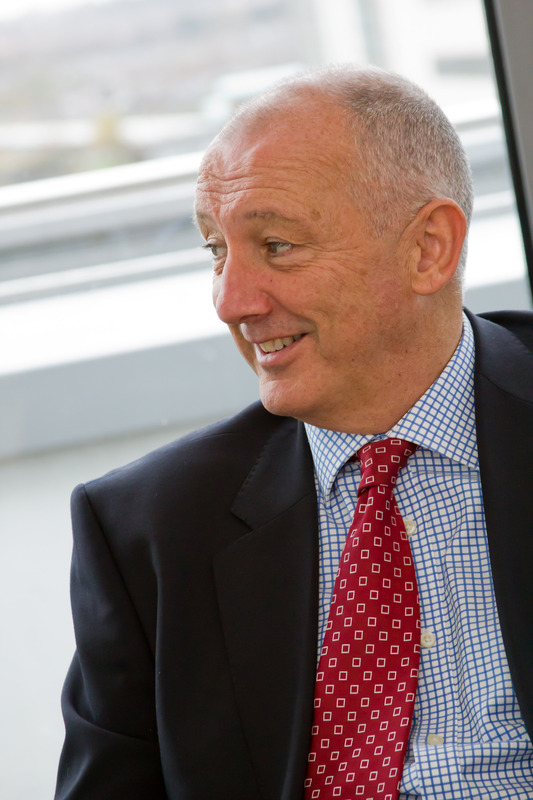 David was a founding partner of Dillon Eustace Solicitors a foremost firm in financial services. 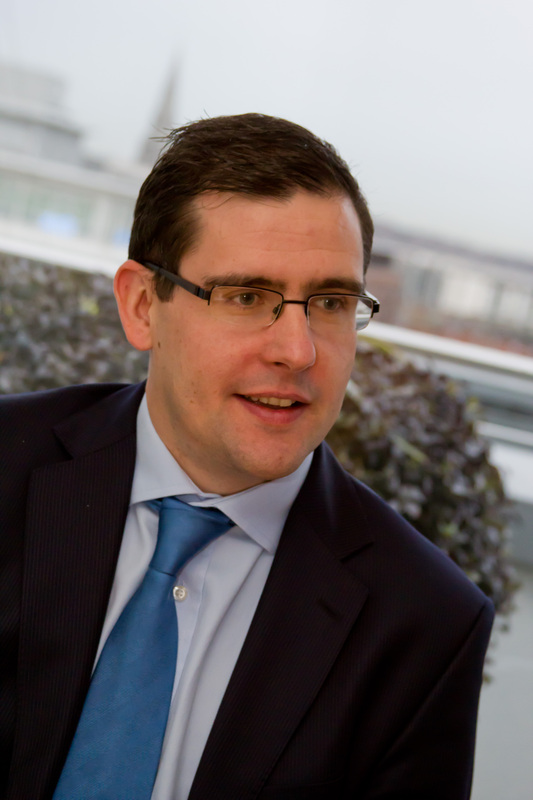 David is a director of a number of Irish based investment and fund management companies. He has served as a member of a number of committees and sub-committees established by the Irish Law Society relating to commercial and financial services law. He is a former Chairman of the Investment Funds Committee (Committee I) of the International bar Association, past Chairman of the government’s IFSC Funds Working group and a member of the IFSC's Clearing Group. He was a member of the Certified Accountant Accounts Awards Committee. He is currently on the organising committee of the Globalisation of Investment Funds organised by the ICI and the IBA. He worked with the international law firm of Hamada and Matsumoto (now Mori Hamada and Matsumoto) in Tokyo durng 1983/1984. Mr. Dillon speaks regularly at international fora. Paul McNaughton has over 30 years experience in the Banking/Finance, Fund Management & Securities Processing Industries. In addition Paul spent 10 years with IDA (Ireland) both in Dublin and in the USA marketing Ireland as a location for multinational investment. He went on to establish Bank of Ireland’s IFSC Fund’s business before joining Deutsche Bank to establish their funds business in Ireland. He was overall Head of Deutsche Bank’s Offshore Funds business, including their hedge fund administration businesses primarily based in Dublin and the Cayman Islands, before assuming the role of Global Head of Deutsche’s Fund Servicing business worldwide. Paul left Deutsche Bank in August 2004 after leading the sale of Deutsche’s Global Custody and Funds businesses to State Street Bank and now acts as an advisor and non-executive director for several investment companies and other financial entities. Paul is a director of the Irish stock Exchange . Paul holds an Honours Economics Degree from Trinity College Dublin. He was the founding Chairman of Irish Funds formerly the Irish Funds Industry Association and a member of the Irish Government Task Force on Mutual Fund Administration.He was instrumental in the growth of the funds business in Ireland both for traditional and alternative asset classes. Patrick Robinson has over 15 years experience in the Asset Management and Funds Services industry. Patrick began working as a consultant with Bridge Consulting in October 2009, before becoming Chief Executive Officer in August 2014. Patrick has an in-depth knowledge of UCITS and AIFM requirements and has project managed fund launches to include providing assistance on product development. He has established the risk, compliance and operational infrastructures of a number of asset management firms. 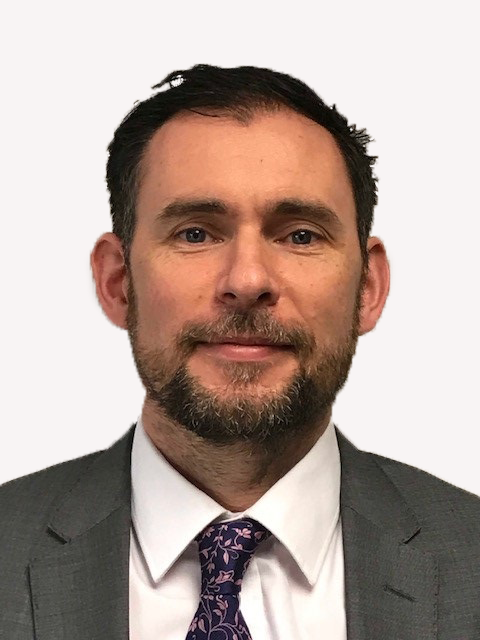 Patrick joined Bridge Consulting from RBS Fund Services (Ireland) Ltd. where he headed the Operations Team responsible for the supervision and oversight of a variety of managers and service providers contracted to funds managed by RBS FSI. Prior to this Patrick worked with Olympia Capital (Ireland) Ltd. where he managed the Fund Accounting Operations for an array of clients with a diverse range of alternative fund products. He holds a Masters degree in Finance and Investment from the University of Ulster. Hugh Grootenhuis graduated from the University of Cambridge where he read Geography and Land Economy. Mr. Grootenhuis worked for the Schroder Banking Group for eighteen years where he obtained a wide range of investment banking experience. He worked for Schroders in both Tokyo and Singapore, as well as London, and spent the majority of his time in the international equity capital markets group. In Singapore, he was the director responsible for Schroders’ South East Asian capital markets business. Mr. Grootenhuis joined Waverton Investment Management Limited (“Waverton”, previously called J O Hambro Investment Management Limited) in 1999 as a director of new business. Since joining Waverton, Hugh has been responsible for marketing Waverton’s private client business as well as structuring new long only and hedge fund vehicles. In May 2007 he was appointed head of all the funds business and joined the executive board. In June 2009 Mr. Grootenhuis was appointed Chief Executive Officer and acted in this capacity until July 2015. Mr. Grootenhuis was appointed as a Special Advisor to S.W. Mitchell Capital LLP in January 2016 to assist with the development of its business, including governance and oversight. Mr. Grootenhuis is also a director of the S.W. Mitchell Capital plc, Dublin range of UCITS funds, and SWMC European Fund and SWMC Small Cap European Fund, Cayman long/short funds. 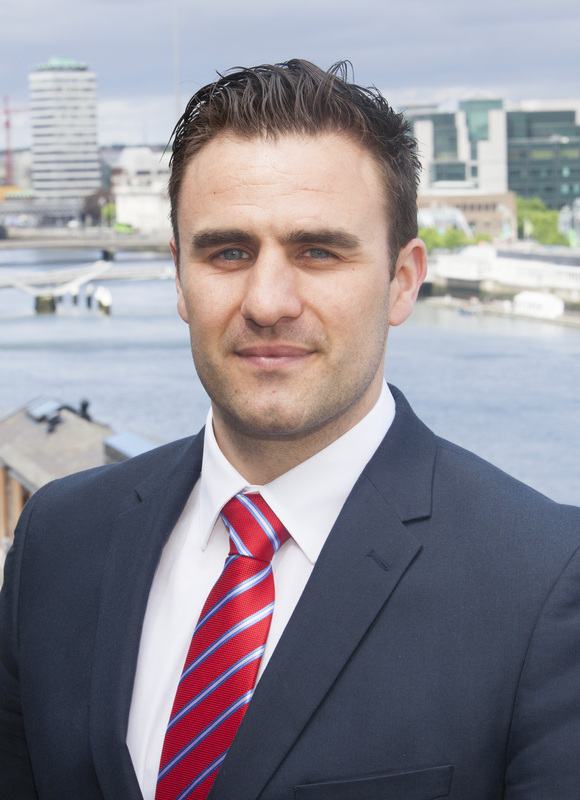 Kevin Bonner is an Irish resident with over 10 years experience in varied operational roles in the funds industry. 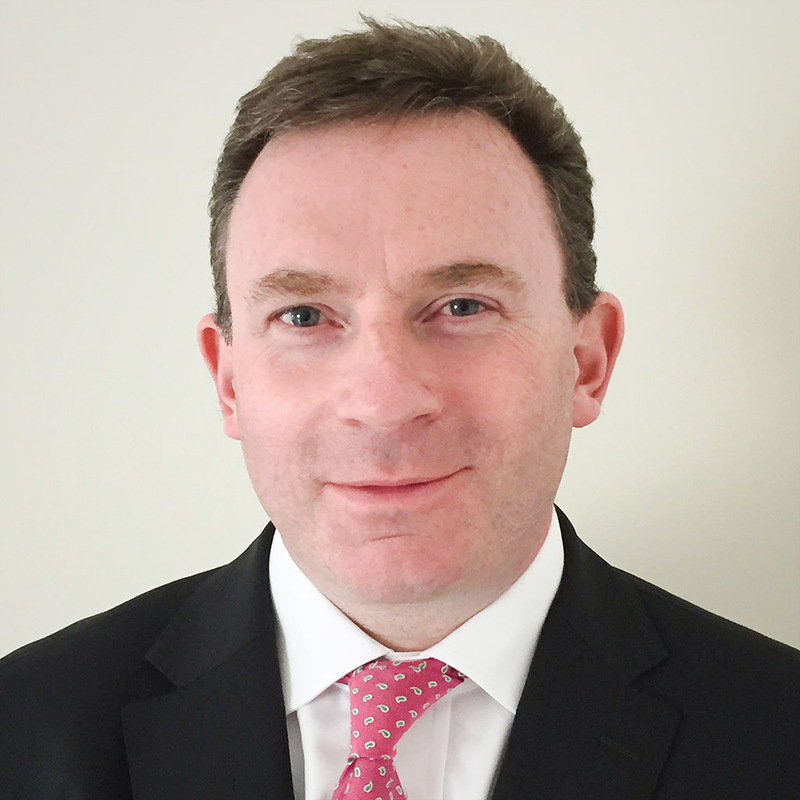 Kevin joined Bridge Consulting in September 2013 from Credit Suisse where he worked within their Trustee function. Prior to this Kevin held a number of positions with Invesco Global Asset Management Limited and previously worked with RBS Fund Services (Ireland) Ltd. where he worked in the Operations Team responsible for the supervision and oversight of a variety of service providers. Kevin holds an Honours degree in Business Studies, with a specialism in law from Dublin City University and also holds a Professional Certificate in Compliance. Joyce Byron is an Irish resident with 10 years’ experience working exclusively with the area of AML compliance. Joyce joined Bridge in February 2015 from Morgan Stanley Fund Services, which is a wholly owned subsidiary of Morgan Stanley and administrator of hedge funds. Here she worked in the area of AML for various European and US clients. Previously, Joyce worked with SS&C GlobeOp and Citco Fund Services Ireland, where she worked in an AML operational role in the area of fund administration. Joyce holds an Honours LLB from the University of Limerick, an Honours LLM from Trinity College Dublin and is a Licentiate of the Association of Compliance Officers in Ireland. She has recently been awarded the Professional Certificate in International Investment Fund Services. She has also completed a diploma in European Law from the Law Society of Ireland, an Anti-Money Laundering Diploma from the ICA in conjunction with the University of Manchester and has completed the ACAMS exam. She is also a member of the ACOI’s Education & Professional Development Services Committee. 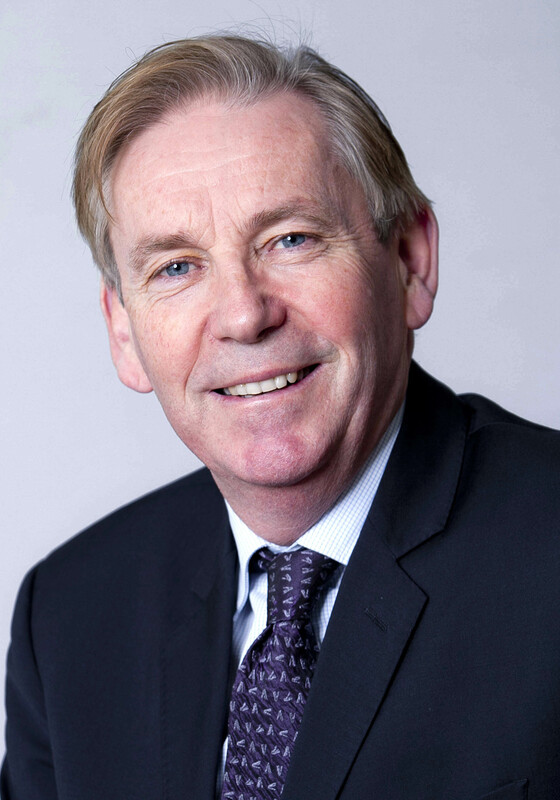 Michael Doyle is an Irish resident with over 30 years experience in wholesale financial services. 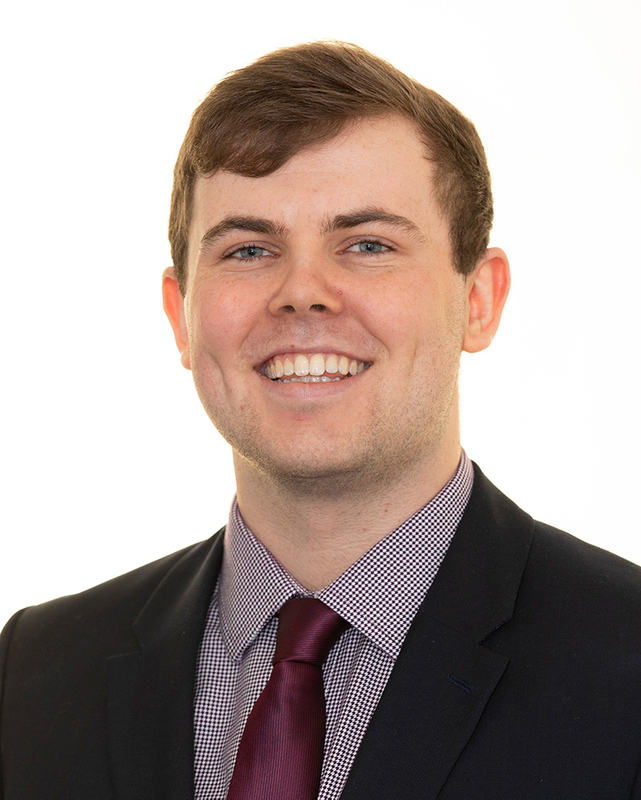 Prior to joining Bridge Consulting in June 2013, Michael worked with Northern Trust for 2 years where he developed the UCITS IV compliant risk framework around Northern Trust’s internal Management Company offering. Prior to that Michael was the Head of Risk Management & Compliance at Bank of Ireland Securities Services (BoISS) at the time of acquisition by Northern Trust, where he also built out and implemented an Operational Risk Management framework for the firm. He has a background in Internal Audit and International Banking with Bank of Ireland. Brian Finneran is an Irish resident with over 13 years’ experience in the financial services industry. Brian joined Bridge Consulting in November 2014. Before this he worked for Marathon Asset Management (London) managing the Hedge fund operations team with responsibility for the oversight, control and development of Marathon’s alternative fund range. Prior to this, Brian worked with Citi Hedge Fund Services (previously BISYS Hedge Fund Services) where he managed a team responsible for the administration of a number of hedge fund and fund of hedge fund clients. Brian holds a Degree in Accounting & Finance from Dublin City University and is a Fellow of the Association of Chartered Certified Accountants. Fiona Hanrahan is an Irish resident with 17 years experience of fund administration. 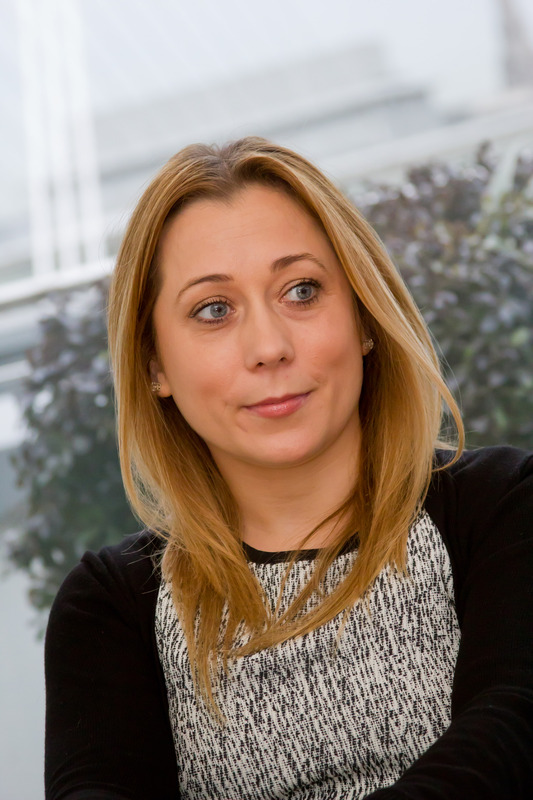 Prior to joining Bridge Consulting in January 2013, Fiona worked with Northern Trust, where she managed a team with responsibility for the financial reporting requirements of a number of UCITS management companies. This included the preparation and review of monthly management accounts, annual financial statements, capital adequacy calculations, corporation tax returns and bi-monthly VAT returns. The team also looked after the timely processing and approval of fund expense payments across all funds administered by Northern Trust. Fiona holds a Degree in Business Studies from Dublin City University and is a Fellow of the Association of Chartered Certified Accountants. 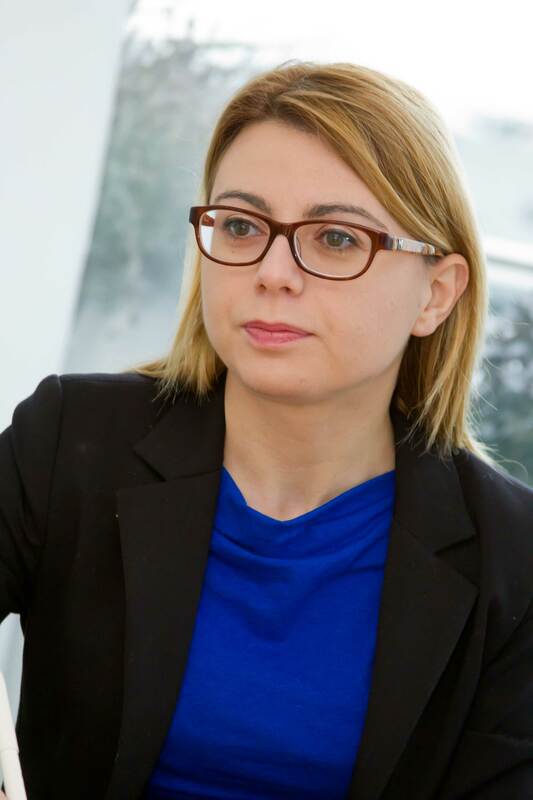 Mina Lenakou is an Irish resident with 8 years’ experience in varied roles in the financial services industry mainly focusing on compliance monitoring. Mina joined Bridge Consulting in June 2014 from HSBC Institutional Trust Services (Ireland) Ltd where she worked within their Trustee function. Prior to this Mina worked for the Greek Financial Regulator in the supervision of asset management companies and collective investment schemes as well as Societe Generale (Dublin) covering hedge funds and private equity funds. Mina holds a MSc in Mathematical Finance from the University of York, UK and a BSc in Finance from University of Piraeus. Cliona is an irish resident with over 9 years’ experience in the financial services industry primarily in the Trustee area. 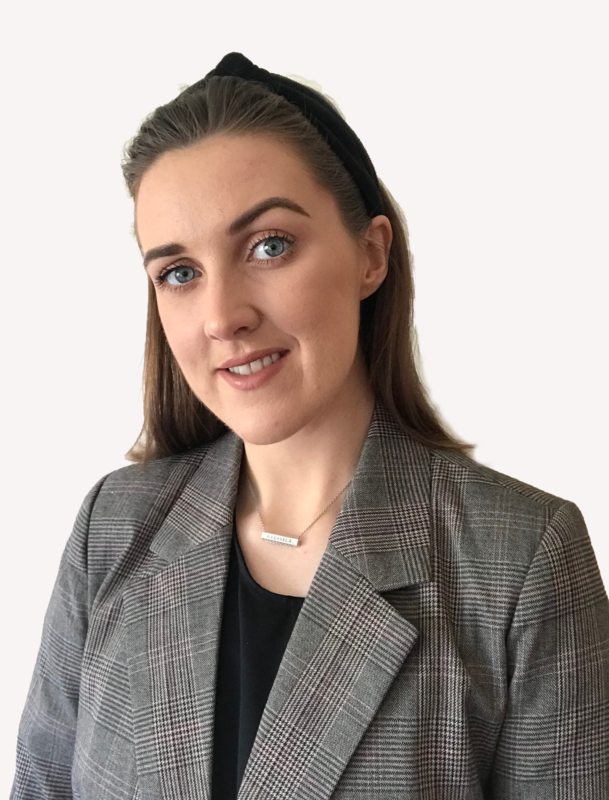 Cliona joined Bridge in July 2014 from BNY Mellon Corporate Trust where she worked as a Client Service Manager for a key collateralised debt/loan client. 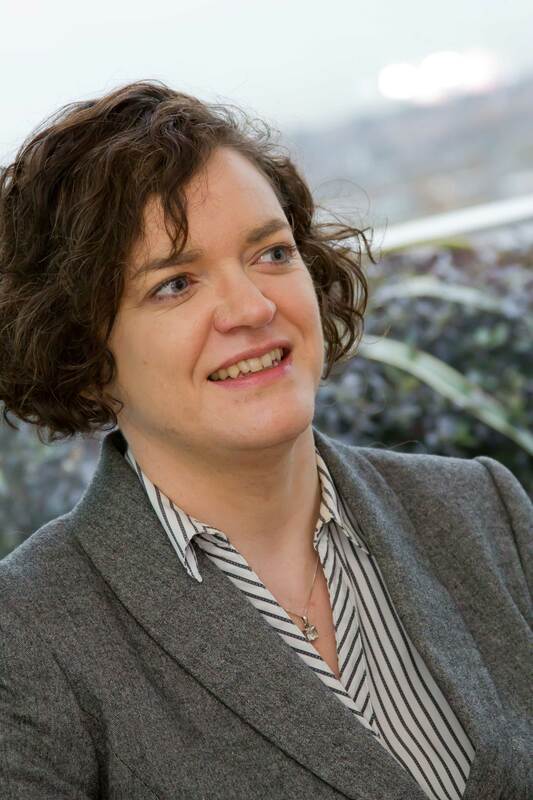 Prior to that Cliona worked with Northern Trust Fiduciary Services (Ireland) Ltd for 7 years in the Trustee function and was responsible for a number of top tier clients whilst also carrying out oversight of service providers. Previously, Cliona worked with HSBC Securities Services (Ireland) Limited, where she worked in an operational role in the area of fund administration. 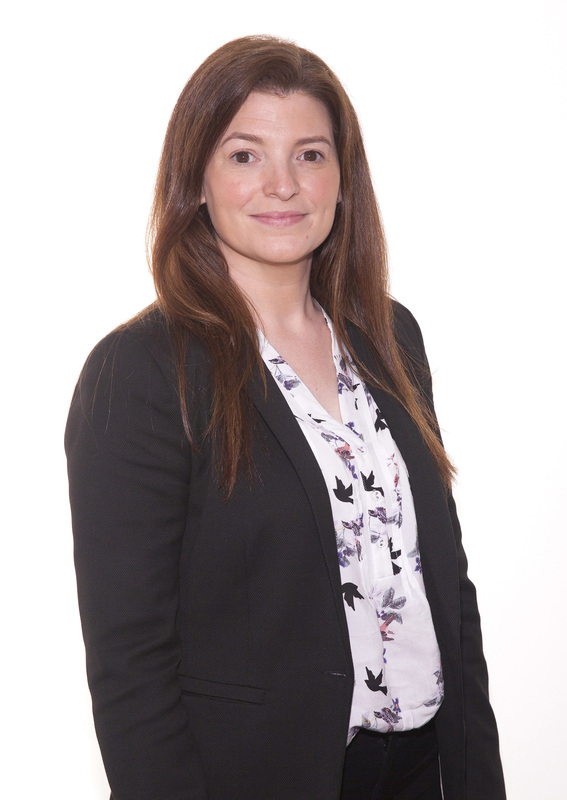 Cliona holds an Honours Bachelor Degree in Business Management from the Institute of Technology Tallaght and is also holder of the ACOI Professional Diploma in Compliance. Mark Crossan is an Irish resident and has over 28 years experience in the financial service industry, primarily in Business Development and Relationship Management. Mark recently joined Bridge in May 2016 having previously worked for Royal Bank of Canada Investor & Treasury Services for approximately 10 years. As Director of Client Coverage, Mark was responsible for developing the bank’s custody and fund administration relationships with a number of strategic US clients, primarily focused on UCITS and AIFs. From 2010 to 2014 Mark was based in the UK and Canada where he carried out a similar role working with a broad range of clients including asset managers, investment banks, insurance companies, wealth managers and institutional clients such as hospitals/foundations. Prior to RBC, Mark spent 9 years in the financial software / data solutions industry working with Linedata (formerly Global Investment Systems) and MoneyMate. He started his career in financial services spending 9 years in Irish domestic banking and life assurance. 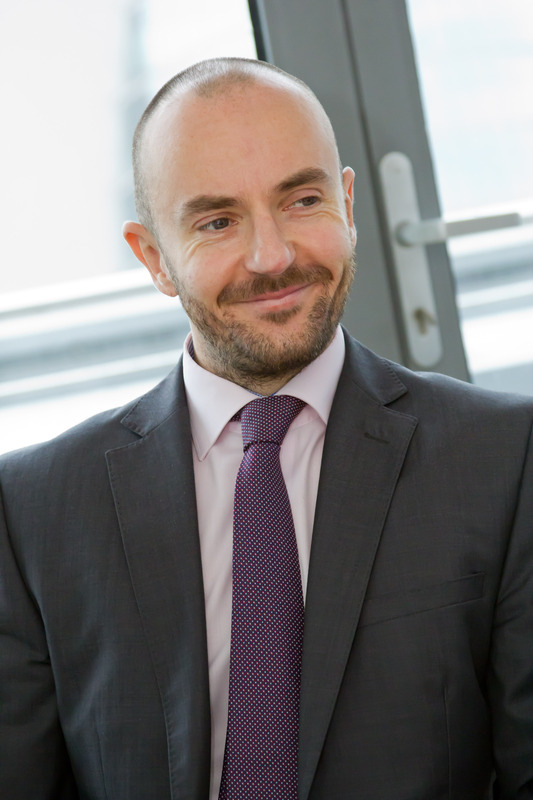 Mark holds qualifications in both Banking and Life Assurance. He previously participated on the Irish Funds Marketing Committee (formerly Irish Funds Industry Association). 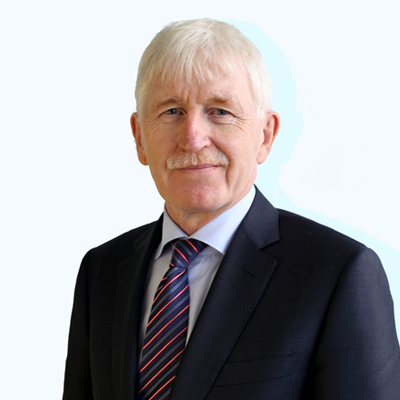 Colin McKeon is an Irish resident with extensive experience in funds, treasury, banking and prudential supervision spanning a career over 26 years in Ireland and overseas. Before joining Bridge in July 2016 Colin worked for the European Central Bank (‘ECB’) in Frankfurt. In his role at the ECB Colin worked in micro-prudential supervision undertaking a range of tasks in close cooperation with the national central banks within the Eurosystem and with national supervisors within the Single Supervisory Mechanism. Prior to his time in Frankfurt Colin was a Senior Vice President at Northern Trust Ireland and Head of the Institutional Investor Group. Under Colin’s leadership this group was responsible for managing and developing a diverse range of strategic global clients primarily investing through UCITS / non UCITS and AIF structures. Over a period of just under 10 years at Northern Trust Colin was a Director of the Northern Trust management company acting as Chairman of the Investment, Risk and Compliance committee of the board. At Northern Trust, Colin was a member of the management team in Ireland along with being a member of the executive team for the institutional business in EMEA. During his career Colin has held other various senior roles in funds and banking having worked at State Street, Dresdner Bank and Scotiabank. Colin holds a BA degree in Economics and English Literature from University College Dublin and a post graduate diploma in Treasury Management. Heather O’Connor is an Irish resident with over 15 years experience in the financial services industry, primarily fund administration. Prior to joining Bridge in March of 2017 Heather resided in Vancouver Canada. While in Canada, Heather worked for Pinnacle Fund Services where she was responsible for the administration services to Pinnacle clients and their investors. Prior to that, she worked for Genus Capital Management Inc. an investment management company who manage custom investment portfolios for institutions and families. Before her departure From Ireland in 2012 Heather worked for IFS (a State street Company) for 9 years where she managed teams responsible for the administration of a number of hedge fund clients. Heather holds an Honours Degree in Finance and Economics from the National University of Ireland is a fellow of the Association of Chartered Certified Accountants and a member of the Chartered Professional Accountants Canada. Gillian is an Irish resident with over 7 years financial services experience, mainly in Transfer Agency and AML compliance. Gillian joined Bridge Consulting in April 2017 after working in Australia with both Deutsche Bank AG and BNP Paribas Securities Services. Prior to this, Gillian worked as an Assistant Vice President in the Investor Services Department of Maples Fund Services (Ireland) Limited, a boutique fund administrator in Dublin. In her role there, Gillian was responsible for the end-to-end Transfer Agency process for a number of private equity and Irish UCITS funds. 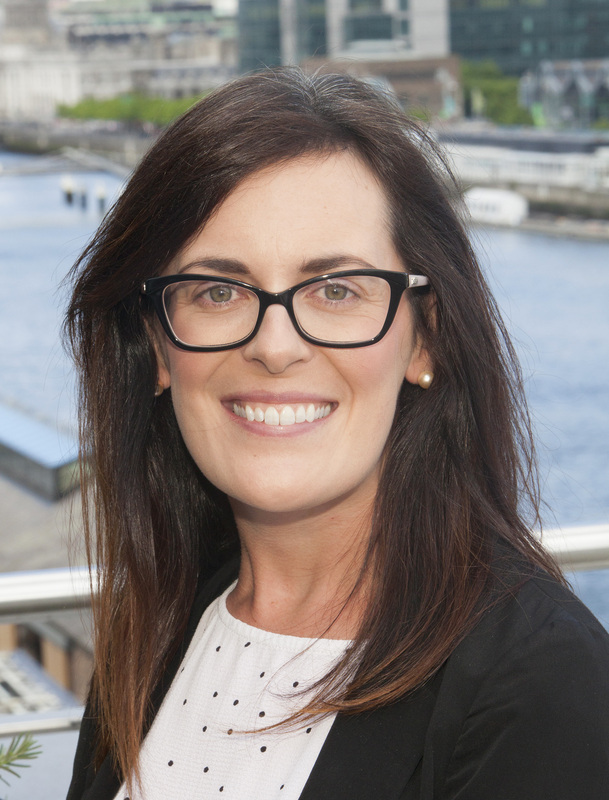 Gillian holds an Honours Bachelor Degree in Finance from NUI Maynooth, the ACOI Professional Certificate in Compliance and the Investment Fund Services Risk Management Certificate in conjunction with PRMIA. Sean Brady is an Irish resident with over 8 years’ experience working in the financial services industry. Prior to joining Bridge in May 2017 Sean worked in Morgan Stanley Fund Services as a Team Leader supporting US hedge fund clients. Prior to that Sean worked with Deutsche Bank from 2009 in a number of roles including Investor Services, USD Customer Service and Electronic Banking System Support. Sean holds a degree in Business Studies from Athlone Institute of Technology. 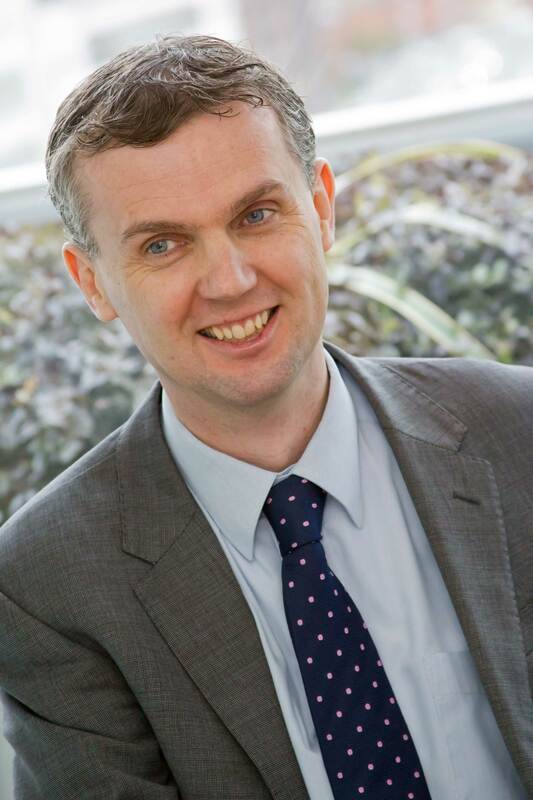 Anthony Doyle is an Irish resident and has over 16 years’ experience in the financial services industry. Prior to joining Bridge Consulting in April 2017, Anthony worked with GAM Fund Management where he was an Operations Manager overseeing their Middle Office Department. Anthony also held managerial positions in both the fund accounting and Corporate Actions/Pricing & Data department. Prior to GAM Anthony worked for Ord Minett Ltd in Sydney, Australia where he held positions on their IPO administration and Corporate Action departments. Anthony holds a Bachelor Degree in Manufacturing Engineering from the Institute of Technology Tallaght and is a member of the Association of Chartered Certified Accountants. Bona Mae Patlong is an Irish resident. In 2017 Bona Mae completed a B.A. (Hons) International Business at DCU, specialising in French and Finance. This included 1 year at ESSCA Graduate Management School Angers, France. Bona also holds a Professional Certificate in International Investment Fund Services. Within Bridge Consulting, Bona Mae’s role will focus on supporting the Designated Person team. This includes the review and monitoring of reports received from fund delegates, the maintenance of fund compliance calendars and assistance with the drafting of Designated Persons reports. David Cummins joined Bridge in June 2017 and serves as the company’s Chief Operating Officer. As COO, he manages finance, IT and administrative operations. 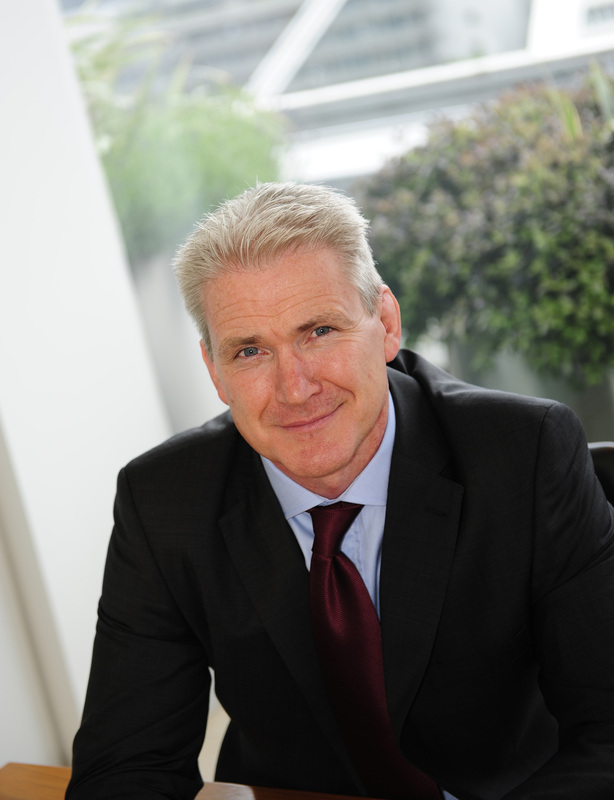 Prior to joining Bridge David served as the Head of Finance for Dillon Eustace Solicitors for over ten years. David was responsible for all financial aspects of the firm’s global operations. David trained as a Chartered Accountant in the Financial Services Group of EY Dublin where he provided audit and advisory services to alternative investment funds. David holds an Honours Commerce Degree from University College Dublin and is a Fellow of the Institute of Chartered Accountants in Ireland. International Financial Services. Elma joined Bridge Consulting in 2018 from Accenture where she was a Management Consultant in the Financial Services team. In her role with Accenture, Elma focused on implementing business solutions that catered for regulatory requirements. Prior to joining Accenture, Elma was an Assistant Director for Investment Compliance with State Street, where she was responsible for reviewing European, Canadian and US fund structures. Elma also spent two years as a financial analyst in the Trustee section of State Street where she worked on post trade compliance across a number of the firm’s clients. Prior to joining State Street, Elma worked with New Ireland Assurance in Pensions Technical, where she carried out testing for group wide compliance, carrying out business audits and reporting to senior management. 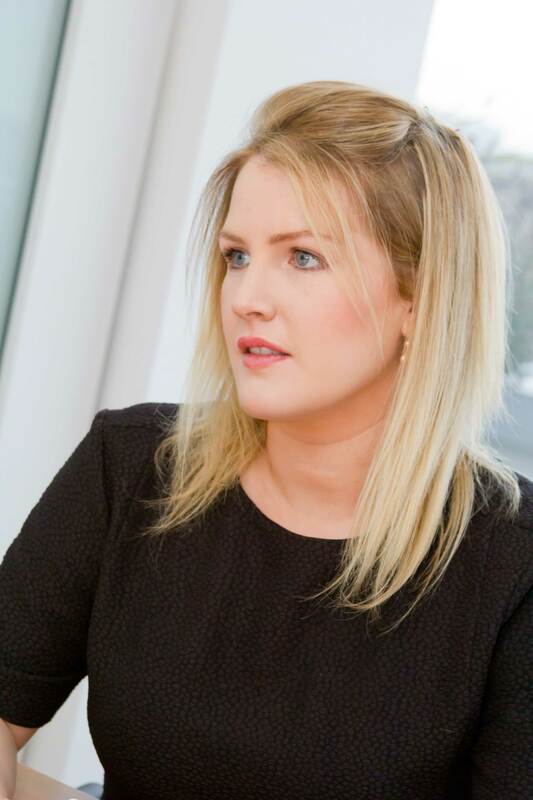 Elma has a degree in Business & Legal studies from University College Dublin. She also holds a Professional Certificate and Diploma in Compliance from The Association of Compliance Officers in Ireland. Hannah Ryan is an Irish resident. Hannah joined Bridge Consulting in October 2018. Prior to October 2018 Hannah worked with State Street where she joined the Transfer Agency team in August 2017. 2017 was also the year that Hannah received a Master’s degree in Business Administration with Project Management from Dublin Business School, having previously completed a BA in English and Geography from Maynooth University. As part of her MBA, Hannah’s dissertation focused on leadership and the soft skills required by effective project managers. 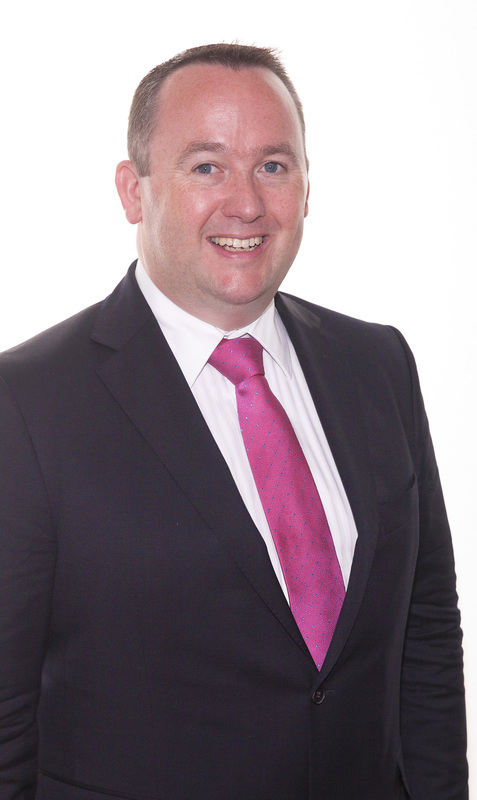 Kenneth O’Donnell is an Irish resident with over 9 years’ experience working in the financial services industry. Prior to joining Bridge in September 2018, Kenneth worked with Swiss Capital as a Senior Associate for the Middle Office Hedge Fund team. In this role Kenneth provided operational oversight to both clients and service providers on a wide range of areas including NAV reporting, Portfolio Management, Treasury and Investor dealings. Prior to that Kenneth worked with State Street in 2013 as a Senior Associate on the NAV oversight team. Prior to State Street Kenneth spent 4 years at Bank Of New York Mellon where he worked in a number of roles including Pricing and German Tax. Kenneth holds a degree in Business and Accounting from Dublin Institute of Technology and an Institute of Bankers professional certificate in Financial Services. Michaela O’ Meara is an Irish resident. In 2018 Michaela received a first class honors degree in International Business at Waterford Institute of Technology, specializing in Management. As Part of this Michaela completed 1 year studying at FHOO University of Applied Sciences, Upper Austria. Within Bridge Consulting Michaela’s role focuses on supporting the Designated Persons team which involves the review and monitoring of reports received from fund delegates, the maintenance of fund compliance calendars and assistance with drafting the designated Persons report. Karl Macken is an Irish resident. Prior to joining Bridge in December 2018, Karl worked with Capita as a Fund Administrator for their Life and Pension department responsible for oversight regarding offshore pension funds. Within Bridge Consulting, Karl’s role focuses on supporting both the Transfer Agency and Fund Accounting sides of the Management Company. In 2017, Karl received a First class Honours degree in Accounting and Finance from Dublin Institute of Technology, specialising in Finance.